Official Church teaching has repeatedly and consistently reaffirmed the vital importance of Catholic schools and school choice. The Catechism of the Catholic Church teaches, "Parents have the right to choose a school for them which corresponds to their own personal convictions. This right is fundamental," and "public authorities have the duty of guaranteeing this parental right and ensuring concrete conditions for its exercise" (CCC #2229). Additionally, the Code of Canon Laws emphasizes, "The Christian faithful have the right to a Christian education by which they are to be instructed properly to strive for the maturity of the human person and at the same time to know and live the mystery of salvation" (No. 217). In 1965, the Second Vatican Council’s Declaration on Christian Education stated, "The public power, which has the obligation to protect and defend the rights of citizens, must see to it, in its concern for distributive justice, that public subsidies are paid out in such a way that parents are truly free to choose according to their conscience the schools they want for their children." 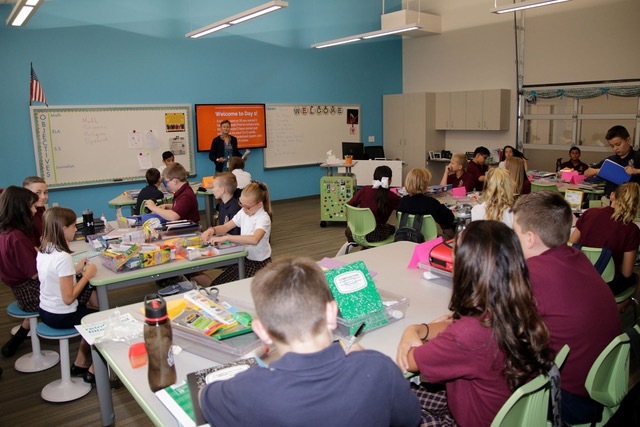 Pope John Paul II, in his 1999 exhortation The Church in America, said, "It is essential that every possible effort be made to ensure that Catholic schools, despite financial difficulties, continue to provide a Catholic education to the poor and marginalized in society. It will never be possible to free the needy from their poverty unless they are first freed from the impoverishment arising from the lack of adequate education” (no. 70).